Slicetruck: Franklin & Bash? Mark Paul Gosselaar? Franklin & Bash? Mark Paul Gosselaar? Tivo it, I mean I DVR it and I'm gonna keep watching. Super stupid show but sometimes I like dumb stuff. Mark Paul Gosselaar's charm must have some hold on me as I don't regret one second of the time I spent watching saved by the bell or Bill from Ohio (I think that's the name), just checked and looped back "John from Cincinatti", but that also had Dylan McKay in it. 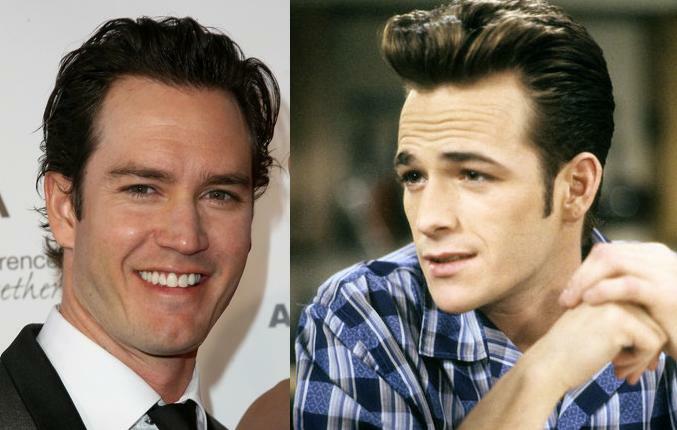 Is Luke Perry a poor man's Mark Paul Gosselaar? Yes, but it wasn't always so cut and dry, so black and white. At one point it was probably just the opposite. I only mention it because I was trying to find this song that I wanted to play for you from the first episode of F & B, and figured you should also know that I'm struggling with the fact that I'm continuing to watch Franklin & Bash even though I consider my time to be somewhat valuable. Remembered enjoying Dead Man on Campus and I'm positive that the Mark Paul years on NYPD Blue were great, as they all were. If I were a producer I'd be looking for a full size movie that had Mark Paul Gosselaar and Dennis Franz in it. They could be a team like Redford and Newman (Gosselaar and Franz). 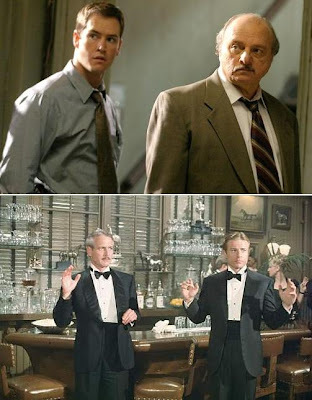 Franz is Newman and Gosselaar is Redford. Gosselaar is a hotshot young con man Robin Hood type always going for the quick con and Franz is the older hustler that's more interested in the long con... You can see where this is going. It would be so dumb, but maybe dumb like a fox enough to work. Also, we're selling 5% of SliceTruck for $1 million if anyone is interested in turning $1mil into $25mil, or at the very least into 5% of a 2007 Freightliner. NRNR!!! No Risk NO Reward. Think about it. Too late, the deal changed 1% for $2 million.